The Copeland Family Dental Cavity Defenders made a stop this week at Eldorado Elementary School for Tooth Talk in celebration of Children's Dental Health Month. 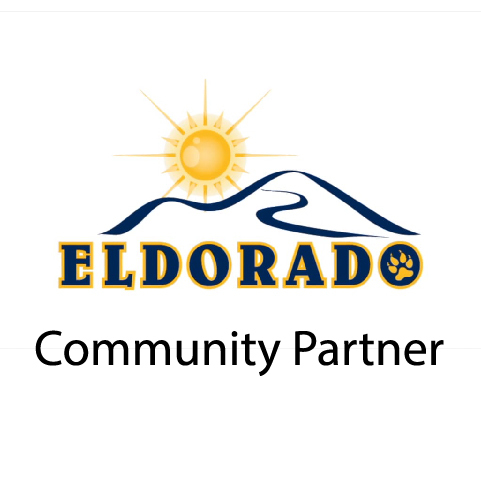 A big thanks to Eldorado for welcoming us back for our third year! We dressed the kindergarteners up as little dentists, taught them about sugar, let them make play-doh molars, showed them proper brushing techniques, let them see a real filling being done and showed them the Crest Cavity Defenders movie. We shared our dental love with them by ensuring each of the 477 Eldorado students has a new toothbrush to get excited about their dental health! Annually Copeland Family Dental supports a cause near and dear to our hearts. It is the Brandon & Paul Foundation that supports educational programs for young drivers that focus on the importance of making good decisions and safe driving habits. Paul and Brandon were killed in a one-car accident on High Grade Road in Jefferson County, Colorado on July 13, 2006. The boys were not wearing their seat belts at the time of the accident. Three other boys, who were in the back seat and wearing seat belts, survived with minor injuries. We at Copeland Family Dental are proud sponsors of the annual Wall-Bop Golf Tournament held each July. Together we can save lives! Did you know that in the Denver metro area we are blessed with a great network of CSAs-Community Supported Agriculture. How does a CSA work? It is a group of members who have pledged to support one or more local farms. This means that growers and consumers then share the risks and benefits of fruit, veggie and herb production. Clean healthy eating is a good step in the right direction towards total health-and this includes your oral health, too. Drs. Amy and Heath Copeland love getting fresh organically grown food delivered to their neighborhood by Lora's Nourishing Produce. They have learned to cook with a plethora of new foods, introduced their toddler to all sorts of delicious veggies, perfected the art of freezing extras and loved less trips to the grocery store. The Drs. Copeland love supporting small business and their local CSA. The Employer Support of The Guard and Reserve of Colorado (ESGR) annually honors Colorado Employers for their support of their National Guardsmen and Reservists. Copeland Family Dental is proud to announce we have won the prestigious Seven Seals Award. We were just one of 3 winners for the entire state of Colorado!! "The Seven Seals Award is the broadest and most inclusive award given by ESGR and is presented at the discretion of the State Chair or by ESGR senior leadership. The Seven Seals Award is presented in recognition of significant individual or organizational achievement, initiative, or support that promotes and supports the ESGR mission, to include the efforts of the more than 4,500 volunteers who carry out ESGR’s mission across the Nation on a daily basis." What is Dr. Amy and Dr. G Heath's favorite winter activity??? You guessed it SKIING! The whole Copeland family is now on skis-even their 4 year old daughter Channing. Something they have learned about at high altitude is barodontalgia-tooth pain caused by a change in atmospheric pressure. Scuba divers and pilots are know to have problems with this and so are adventurists in the high altitude Rocky Mountains. The most common sources of this type of tooth pain are dental cavities, defective fillings, gum disease and tooth nerve issues. The Copelands have joined forces with Peakescape and offer free telephone consultations for mountain dental emergencies. Drs. Heath and Amy Copeland put personal health at the top of their priorities. 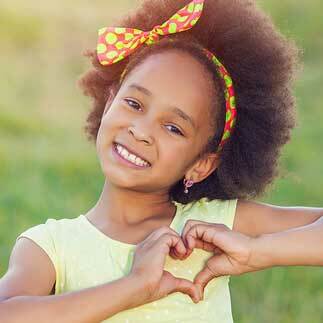 There is a growing body of evidence to support a link between dental health and general health. Drs. Heath and Amy Copeland enjoy staying physically fit. Recently Dr. Heath scored a 96% on his annual USAF Fitness Test and Dr. Amy is usually training for some triathlon, cycling or running event. What is their secret? Dr. Heath says it is being on a regular schedule with running and weight training. He even does sit ups and push ups when they are on vacation and he is does not have access to a gym. Dr. Amy says her secret is training with her good friend Laura at Bodhi Pilates. So find what motivates you, get out in our beautiful state of Colorado and get that heart pumping.